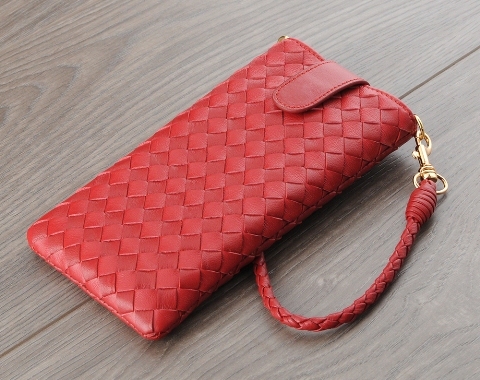 Custom Made Classic Long Lambskin Leather Pouch Case With Criss-Cross Woven Leather Pattern. 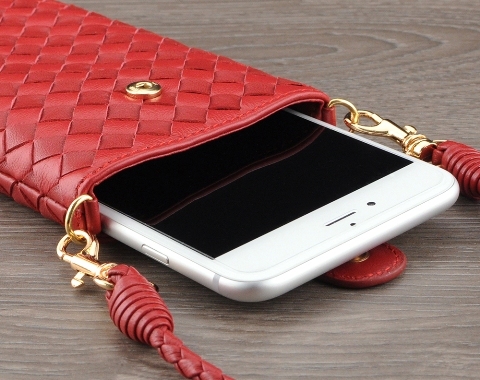 Genuine leather handcrafted woven phone pouch customizable for all smartphone makes and models. 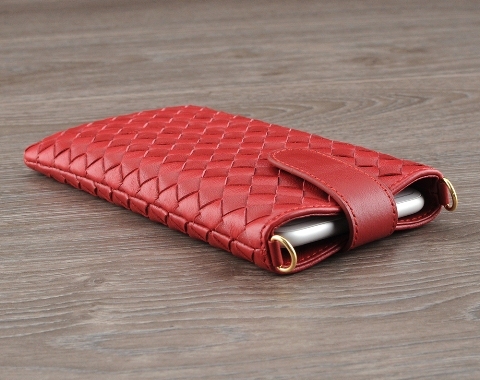 Carry your smartphone in style with one of our lambskin woven phone pouch today! Using the finest workmanship, our team of leather artisans beautifully craft the phone pouch with your choice of genuine leather or lambskin color and texture to give your smartphone the woven pattern that screams luxury. 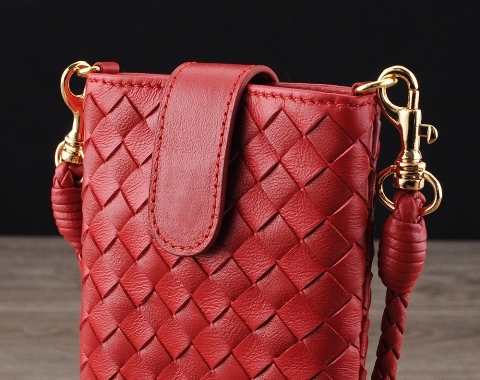 The woven comes with a woven carrying strap, and we are able to add an optional detachable cross-body woven strap for $30 more if you would kindly note this in the Special Request section as you go through the custom design process. if you would kindly note the desired length of the strap (inclusive of the hardware), we will be able to build it accordingly. Please note that this woven strap is not adjustable. If desired you can also opt for standard (non-woven) adjustable strap for $15. The extra fee would be invoiced separately after the order is placed on our web site.